In this month's Safety Focused newsletter, you'll learn why workplace hazards often go unreported. In addition, you'll read about working safely in the cold. This month's newsletter features tips for preventing workplace fires and safety advice for older workers. 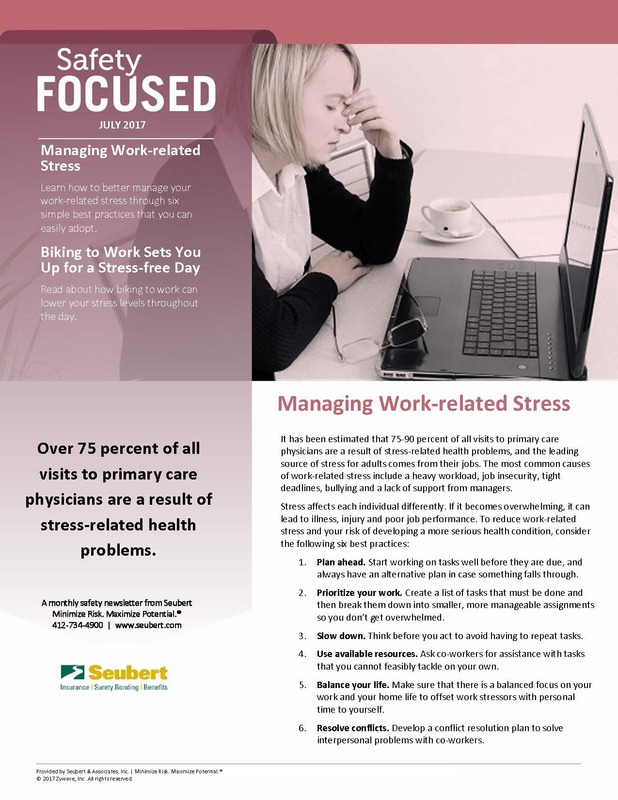 In this month's Safety Focused newsletter, you'll learn health tips for shift workers. You'll also read about the importance of minding your mental health. This month's newsletter explains how indoor air quality affects your health and offers three defensive driving tips that could save your life. In this month's Safety Focused newsletter, you'll learn how to respond to workplace violence. You'll also read about the impact of workplace bullying. In this month's newsletter, you'll read about an employee's role during safety meetings. You'll also learn four ways to supplement wellness programs. This month's newsletter focuses on back strain and how to improve workplace communication. This is a monthly newsletter intended for your employees that emphasizes the importance of safety in the workplace. It will cover topics like the dangers of sedentary working, how to stay safe when working alone, the importance of a good night's rest, and more!